inspire – Stones, and Tokens, and Hearts, Oh My! 2. To fill with enlivening or exalting emotion. 3. To stimulate to action; motivate. 4. To affect or touch. 5. To draw forth; elicit or arouse. 6. To be the cause or source of; bring about. 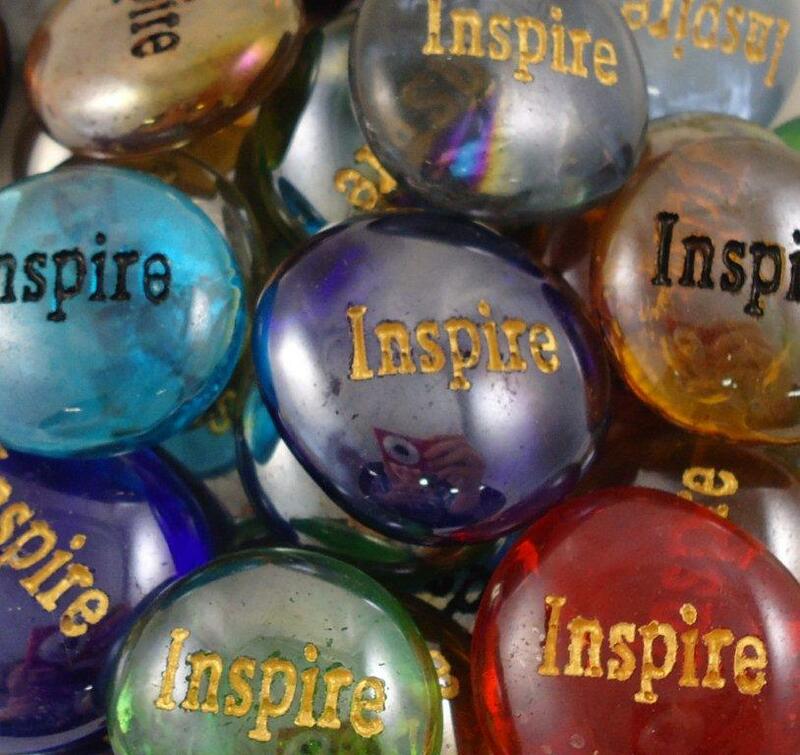 I love this word…Inspire. While it has many meanings, it is most certainly a verb, a call to action. Whether you are inspired or you are inspiring someone else, the very sense of the word invokes emotion. When I take orders here at CourageInStone.com, I often hear why people are inspired to buy our products. We happily cover major events such as weddings, funerals, and birthdays. However, sometimes we get “just because” purchases. A teacher buys her students tokens to build confidence for a big test. A grandson wants to have a coin engraved with his grandmother’s favorite bible verse. A mother needs a “God Bless America” token to send in her son’s Army duffel bag. These are the moments when what they are buying and why they are buying it come together to inspire me, and move me to tears (when I get off the phone, of course!) These moments leave me grateful to have been a tiny part of their plan.